CSN Bay Area’s Matt Maiocco expects Michael Crabtree (foot) to be a game-time decision this Sunday against Dallas. The Texas Tech product took part in limited practices for the 49ers on Wednesday and Thursday, as he continues to monitor a sore left foot. Crabtree played only 13 snaps in the 49ers’ Week one 33-17 victory after undergoing surgery in July for a fractured foot he suffered in a workout at San Jose State during the NFL lockout. 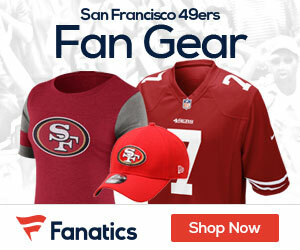 Be the first to comment on "49ers WR Michael Crabtree: Game-time decision (foot) vs. Cowboys"